Entry Requirements: 4 GCSEs at grade 3/D or above including Mathematics or English, or a Level 1 equivalent in this area and GCSE Mathematics or English at grades 3/D or above. This course is part of the NCC Ambitions Programme – a unique programme for Level 2 students, which will support you in developing key personal skills such as communication, confidence, resilience, employability and presentation skills. Learn a range of treatments including nail art to skin care and manicure. You will learn about anatomy and physiology and how this relates to various treatments. You will develop your customer service and retail skills in our salon reception. The programme includes links with employers, interview opportunities, guest lectures and much more. In order to succeed on this course, you must demonstrate the ability to communicate with a variety of people and possess the desire to provide excellent customer service. 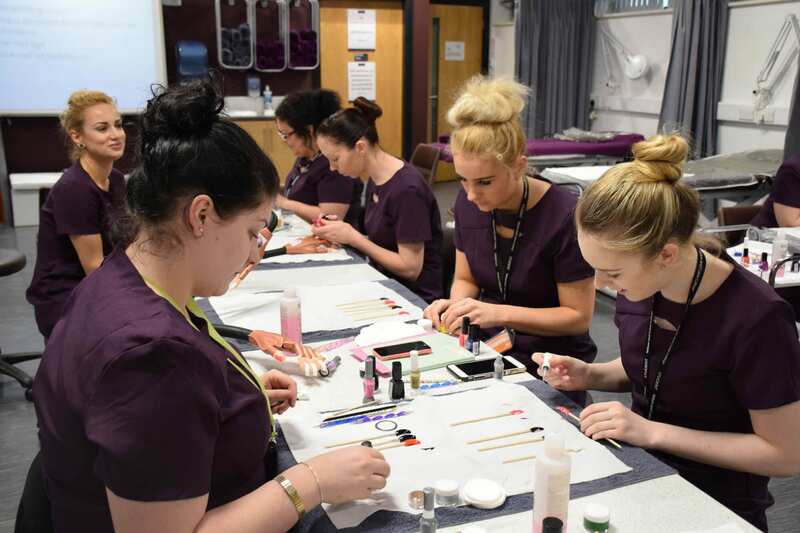 On completion of this programme, you may progress onto the Level 2 Beauty Professional qualification, Level 3 Nails qualification or onto an Apprenticeship. You will develop skills throughout the course before taking part in an end of year practical exam and a theory exam, which are externally set by City and Guilds. Students will need to purchase the salon uniform and a beauty kit*. Costs will be confirmed at interview/enrolment.